With the ever increasing demands placed on Information Tehnology (IT) departments, it's no wonder that they are constantly looking for innovative approaches to managing their environments, while at the same time providing "on-demand" services and accounting for assets and changes. Pete Morell, one of Interloc's Senior Maximo Consultants, will take you through the top ten reasons your IT department should consider IBM SmartCloud Control Desk and how SCCD can help IT in this new "on-demand" world. Simply put, IT Service Management (ITSM) is a process-based practice intended to align the delivery of IT services with needs of the enterprise, emphasizing benefits to customers both internal and external to the organization. ITSM involves a paradigm shift from managing IT as stacks of individual components to focusing on the delivery of end-to-end services to the needs of the users. ITIL (Information Technology Infrastructure Library) is a globally recognized collection of best practices for information technology (IT) service management and is a cornerstone of ITSM. SCCD is designed to address three ITSM main processes Service Management, Change and Configuration Management and IT Asset Management. Not surprising, SCCD in Maximo has a core application to address each of these. The new SCCD Start Center is clean and configurable. It's got a "tile" look and feel and is configurable as Maximo, itself. In today's fast-paced world, users want to find out the answers to their own questions. And with the IBM SCCD Enhanced Self Service Center, those answers have never been easier to find. Another new feature of SCCD 7.5 is an internal Enterprise Apps Store that lets users to choose applications they prefer -- the introduction into Software On-Demand. The internal Enterprise App Store comes with Integrated License Management, Automated Deployment and Cost Accounting and Chargeback. New for SCCD 7.5.1 is the Visual Status feature. It shows the help desk agent where the ticket status is so that the agent can quickly understand the status of a ticket and perform action on it. This feature provides a visual representation of where the assets are. Why is this cool? IT users of SCCD can view a map of where the request or incident is located. Multiple events, incidents, problems, changes, assets and configuration item (CI’s) are available on the map, as well as advanced search and filter capability for map overlays. 6. SCCD 7.5.1 has gone mobile! Mobility is a necessary priority. With more than 1B Smart Devices sold in 2013, shouldn't your IT team be mobile? Interloc can help take SCCD’s capabilities mobile on Android as well as Apple-based smart phones. From within the Change application, you can clearly see the new process map and how it shows the IT support staff where in the process the change is currently. 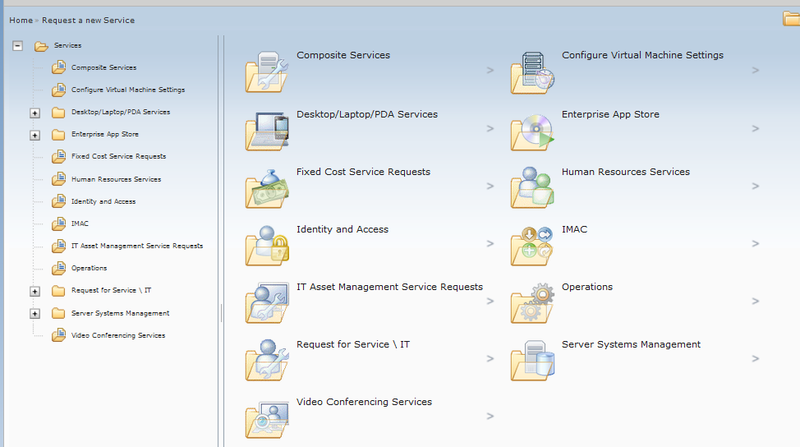 This feature of SCCD 7.5.1 has a CI topology viewer that can show CI’s as a business service. Why is this important? It allows users access to the individual components that make up a business service and allows for impact analysis before changes are made. The new features of the Asset Management for IT applications have many data attributes to all relevant data, which allows for the promotion of Assets to CI’s. SCCD 7.5.1 comes with advanced work flow out of the box that your organization can implement the solution to support the correct processes right way- The advanced workflow can easily be configured to fit exactly the way the organization needs it to work. 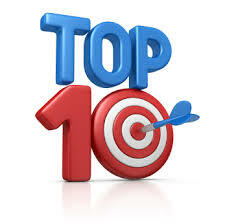 And there you have the IBM SCCD Top 10 (according to Interloc). Interested in learning more about SCCD and why SCCD is a smart addition to you Maximo implementation, we invite you to download our SCCD Data Sheet to learn more about why IBM Maximo users should consider IBM SmartCloud Control Desk.